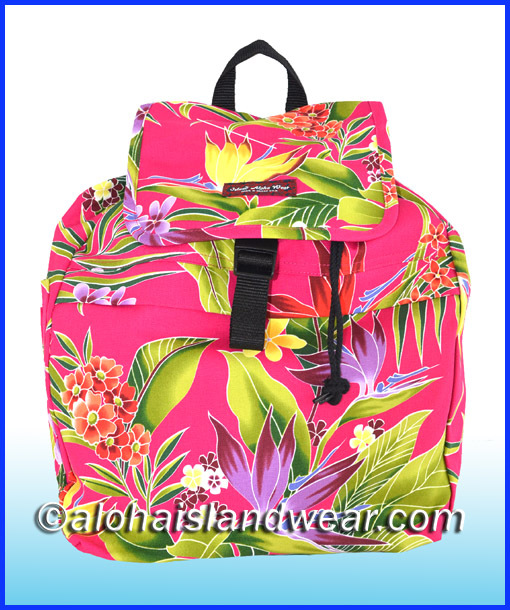 This large Hawaiian floral print backpack features one single layer on the main compartment with a black cotton drawstring with a lock buckle for closure, a flag cover with a plastic click lock for secure the items in the bag, a cover front pocket with a hidden zipper, dual black nylon straps behind the backpack for carry over the shoulder and a carrying handle, straps are adjustable for best fit, a side open pocket with Velcro on it and two pens holder in front this pocket (click on photos for more details). 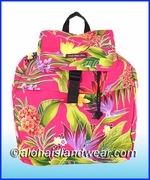 Great for school backpack, shopping, personal carry on bag, travel, hiking or a gift to someone with aloha theme. 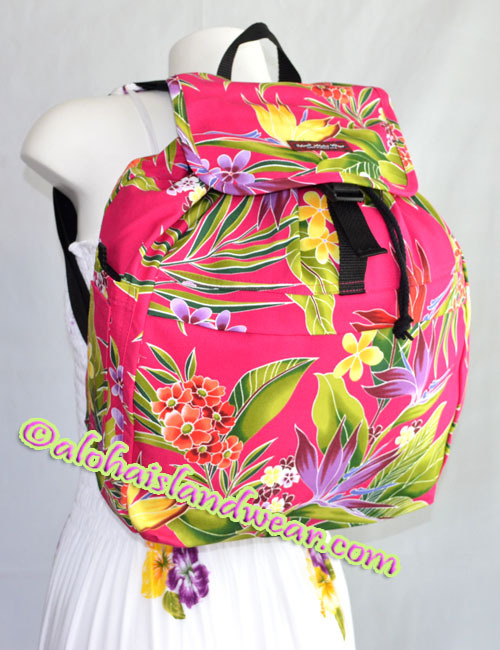 External pocket: 13" X 8"